One of the best pieces of advice for people on the ketogenic diet is “just eat real food”. Minimizing the amount of processed food you consume is surely one way of dramatically improving your health. However, this means you will need to prepare and cook food more often. You may also need to learn a whole new set of ketogenic friendly recipes. This leads me to my favorite app that I have discovered in a long time, Paprika. 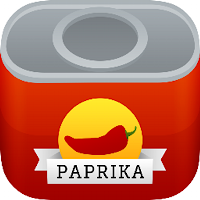 Paprika is a recipe manager, meal planner and grocery list all rolled up into one. I mainly use the recipe manager portion of the app. The great thing about it is if you go to a site that has a great recipe, you can tell the app to save that recipe from its built in browser and it will figure out the ingredients as well as the instructions. You want to make a double batch, no problem Paprika will automatically scale the recipe for you. No more forgetting to double the measurement of one of the ingredients. You can cross off the ingredients as you add them, which makes it easy to see what you have left to add. If there is an instruction telling you to simmer for 20 minutes, then clicking “20 minutes” in the instructions automatically starts a 20-minute timer. Paprika will sync between multiple devices, so my wife and I can share all the recipes we find. There are lots of new features in version 3.0 that I haven’t even had time to try. I’ve purchased the app for the iPhone, iPad and windows so I can save recipes no matter which device I’m using. I also want you to know I’m not affiliated with Paprika in any way, I just love the product. If you try it out, be sure to let me know what you think. My next blog post will be about more keto goodness. You can also read my last post reviewing the documentary "Fasting".